Some of the First Nations Media Australia staff (L>R): Jenni Nixon, Harmony Armstrong & Stephanie Stone. Our office is back in action and we’re looking forward to a big 2019 ahead! This year we will add some new people to our little team, we will revise our Strategic Plan for the next few years, we will continue to pursue our 9 Calls for Action in this election year and we will bring our sector together for the Remote Indigenous Media Festival at Waiben/Thursday Island (22-27 Sept) and CONVERGE Alice Springs (27-29 Nov). We’re looking forward to building on the successes of 2018 through our projects with inDigiMOB rolling out to new communities and indigiTUBE going from strength to strength with new content added all the time. We were pleased to welcome some new members in 2018 and we’ll be working to support those recent sign-ups and our ongoing, renewed members by expanding our member services. One thing is for sure, we’ll be going flat-out to support our sector throughout the year and we’re looking forward to working with all of you to do it. For now, please put CONVERGE Alice Springs in your calendar (and your budgets!) and the Remote Indigenous Media Festival if you’re remote. There will be plenty more news to come as the year gets rolling…. With forthcoming State and Federal elections on the horizon, it might be a good time to revisit the tips and advice shared in our webinar in September about political engagement. Short video highlights from the webinar are available to view and listen to on our website here. Now is a great time to start thinking about how you can get important information about our elected representatives to your audiences, and highlight why #ourmediamatters to candidates in your electorate. If you are keen to join our team at First Nations Media Australia, please submit your interest now. We currently have three full time, Indigenous identified positions available in our Alice Springs office. We are interested in building career pathways within our organisation, as well as the broader First Nations media sector, so talk to us about your goals. Submissions close on 29 January. "I believe that First Nations media gives us an opportunity to keep our stories and history alive." WATCH IT FIRST ON INDIGITUBE THIS SATURDAY 26 JANUARY! indigiTUBE are super excited to premiere ZERO-POINT this Saturday 26 January. ZERO-POINT: SEASON ZERO introduces the world to the first Indigenous comic hero; action-packed full of suped up terrorists, over-regulated superheroes, addictive 'super-drugs' and Government lies. ZERO-POINT mirrors many contemporary social issues including the on-going fight for sovereignty of our First Nations people and the fallout of the top secret Maralinga Nuclear tests. Based on the original comic book by writer/director Jonathon Saunders, ZERO-POINT features an all-star cast with award-winning actor MARK COLE-SMITH (The Drover’s Wife, Last Cab to Darwin, Picnic at Hanging Rock); as ZERO-POINT; STEPHEN OLIVER (Black Comedy) as the post-human terrorist SAMSON; and EBONY MAGUIRE (Yirra-Yaakin & Ilbijerri Theatre Company) as WING COMMANDER. indigiTUBE is stoked to see all the new radio, music and video content being uploaded on the platform. Get amongst it! indigiTUBE is for you mob. Share our language and culture. Upload your music, radio show or video. Get your own channel and show us your goods! Yaban is one of the largest one-day gatherings recognising Aboriginal and Torres Strait Islander cultures in Australia. Held on 26th of January on traditional lands of the Gadigal people in Sydney, Victoria Park, Yabun Festival welcomes everyone to join them in this one of a kind event which honours the survival of the world’s oldest living culture. The theme this year is ‘Spirit of Survival’ with live performances by Isaiah, Thelma Plum, Roger Knox, Shakaya, Kutcha Edwards, Sonboy, Green Hand Band, Rebecca Hatch and Young, Black and Deadly. The event will be broadcast live on Koori Radio. Congratulations to the Lynette Wallworth and all of the team who worked on Collisions, including PAKAM broadcaster, Curtis Taylor who narrates the film. Collisions won the Outstanding New Approaches to Documentary Award at the 38th Annual News and Documentary Emmy Awards. The film tells story of Nyarri Morgan and the Martu tribe as a 360 degree immersive, VR experience. In the days leading up to Christmas, the Minister for Industry, Science and Technology, Karen Andrews published the Australia’s Tech Future report following an 18-month delay. The report outlines the Government's strategy for an inclusive digital economy. It acknowledges barriers around skills, affordability, access to culturally appropriate technology and high levels of mobile-only connectivity facing Aboriginal and Torres Strait Islander people. The report suggests Government, business and community "all have important roles to play to address the digital divide." Addressing barriers to digital literacy and access to technology is vital for economic and social inclusion, with Indigenous Australians identified as a group requiring particular attention to improve inclusion rates. Australia’s Tech Future identifies the Universal Service Guarantee as a Government initiative to improve inclusion. The NBN Co has developed a Public Interest Premise policy which allows Indigenous organisations in the Sky Muster footprint to access additional data of up to 300GB per month. Further WiFi solutions for remote communities are required along with increased digital literacy skills. The strategy aligns with work First Nations Media Australia has been doing to promote digital inclusion through Broadband For the Bush and our inDigiMob project, raising digital literacy in remote NT communities. Mr Selwyn Button was appointed the position on 10 December 2018, he is a Gungarri man from southwest Queensland, raised in Cherbourg. 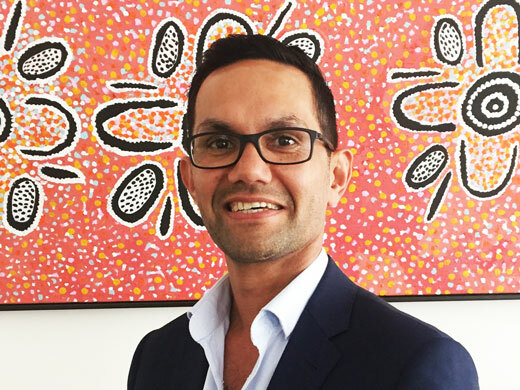 Mr Button stated that, "taking on the role of the Registrar is an honour at any time, but I’m humbled and excited to take the lead at this point in the journey for Aboriginal and Torres Strait Islander corporations." The Minister for Regional Services, Senator Bridget McKenzie recently made the welcome announcement of an additional $10million in funding to secure VAST services for regional Australians until 2021. This decision provides much needed delivery services for remote and regional Australia, including First Nations radio and TV services. "VAST ensures that regional Australians can receive reliable free-to-air television broadcasts so that we can all share and participate in cultural, education and social experiences," Senator McKenzie said, "The service is also critical in keeping people up-to-date with the latest emergency information in times of natural disaster." This decision follows the VAST review last year (view the First Nations Media submission here) to assess its performance since its commencement in 2010. VAST is also supported by contributions from broadcasters. We were saddened to hear of the passing of Rev. Seraphim Slade on Christmas Day. Mr Slade is remembered for his valuable contribution to our sector as a broadcaster, a committee member and a man of faith. He was involved with journalism in print media and radio, broadcasting a weekly program on 2YAS near his home in Gunning, NSW. He was a Board member of the Southern Tableland Indigenous Cultural Association and AICA and contributed to CBF funding decisions through involvement on a number of grants committees, including the IGAC for many years. In 2008 Mr Slade became the first Canonically Ordained Priest of Aboriginal descent in Australia. This followed a number of years working in the prison ministry in Goulburn and missionary work within his own community Gunning and Canberra. He worked in varying roles within Corrective Services NSW. Due to his broadcasting experience he travelled to Halls Creek for two periods to work as Acting Manager at 6PRK around 2008-2009 before returning to Gunning to consecrate a new church in honour of St John of Shanghai and San Francisco, specifically for Orthodox Australian Aboriginals. While Mr Slade had reduced his Board commitments in recent years, he remained an active participant in our sector and a current member of First Nations Media Australia. We acknowledge his strong contribution to the sector over many years and send condolences to his community. The CMTO is running a training needs survey encouraging stations to let them know what type of training would be useful for your media organisation in 2019. They have a broad range of courses available and can tailor training delivery to suit stations and trainee groups. Some examples include technical training, news reporting, governance training, introduction to radio courses, podcasting, sponsorship, mentorships for leadership positions…there are accredited and pathways options for station management, Boards and broadcasters. CMTO work with the RTOs in our sector (Goolarri Media and Triple A Training/BIMA) to coordinate the delivery of training in different areas. Let them know what would help your team develop relevant skills in 2019 by completing the training needs survey before 30 January 2019. First Nations Woolwonga-Gurindji woman Susan Moylan-Coombs will officially launch her campaign for the Federal seat of Warringah, currently held by Tony Abbott, in Sydney 21 January. Ms Coombs is seeking to take on Mr Abbott’s role as Special Envoy on Indigenous Affairs. The Koori Mail is looking for an entry-level journalist to work in their Lismore office, on Bundjalung Country. This is an Indigenous identified position for an Aboriginal and/or Torres Strait Islander person only. You will need a valid driver's license. Applications close 31 January, 2019. Radio Skid Row 88.9FM is looking for aspiring media-makers who wants to make content about their cultural through innovative approaches to media including video, audio storytelling and podcasts. The Garma Festival is calling for interested people to volunteer your time to help the Yothu Yindi Foundation run the event in August 2019. Deakin University is calling on media practitioners and scholars to present its International Conference on Citizen and Community Media in Melbourne 6 - 7 June 2019, in partnership with the CBAA. Presentations should focus on capacity-building and knowledge sharing in citizen and community media organisations. Topics can include journalism, culture, communication, politics, gender, technology - anything relevant to community media. Submissions close on 15 February. Read more here. WANT TO WORK WITH NITV? NITV is searching for their next Leading full time Project Manager to work out of their Sydney North Shore & Northern Beaches. This position is a critical role suited to a highly organised person who will be responsible for scoping, planning and delivering a range of exciting projects that ultimately help them to make an impact through some of the most unique and distinctive content in the media landscape. Do you think you have what time take to manage this role? Applications are open now. The Queensland Reconciliation Awards recognises initiatives undertaken by businesses, community organisations, educational institutions and government departments going above and beyond their core business to foster reconciliation and pave the way for a better future for residents of Queensland. There is $25,000 in prize money to share around. Nominations are open now and close on 25 February. Indigemoji is a collaborative project that runs for seven weeks over the Summer school holidays period for the Alice Springs local library’s 'Geek in Residence’ program. Aimed specifically at working with young Aboriginal people in Central Australia, participants in the program develop a sticker set of Indigenous emojis as a way of decolonising the internet during a time of rapid technological uptake in Central Australia. The workshop is supported by the Northern Territory Government and IndigiMob. It is overseen by Arrernte linguists and language-speakers Joel Liddle Perrurle, Veronica Perrule Dobson AM, and Kathleen Wallace Kemarre. The Honda Foundation provides funding across a range of social and environmental issues, including promotion of innovation and new technologies. They also have a 12-month loan vehicle program which includes registration, insurance and servicing costs for up to 20 loan cars at any one time. Deadline for applications: 8 February 2019. This program is to support a professional, viable and ethical Indigenous languages and arts network that features strong participation and provides for economic opportunities for Aboriginal and Torres Strait Islander people. Content and Development & Operations grants are now open to support projects and programs in 2019-20. Broadcasters should apply for funding support for ongoing programs and content projects through Content grants. Support for equipment and other development projects can be requested through Development & Operations grants. Deadline for applications: 12 March 2019. The Department of the Prime Minister and Cabinet invites schools, community groups, organisations and other eligible applicants to apply. The NAIDOC Grant Funding round aims to support local activities being held during 7-14 July 2019 for National NAIDOC Week. Opens on 24 January 2019.